Today we are very pleased to announce the reprint of The New Equinox: The British Journal of Magick, first released by Kaaba Publications in 1980. The worrying fact of a genuine Qaballa in English was first put to the occult reading public in 1979, in the Editorial of the final issue of Ray Sherwin’s periodical The New Equinox. The "order & value of the English Alphabet", predicted in Liber AL vel Legis, had been obtained in the English Midlands by a magickian named James Lees in November 1976, and with the members of his occult group he had researched, experimented, and proved the new system to the point where the first conclusions and propositions could be shared. 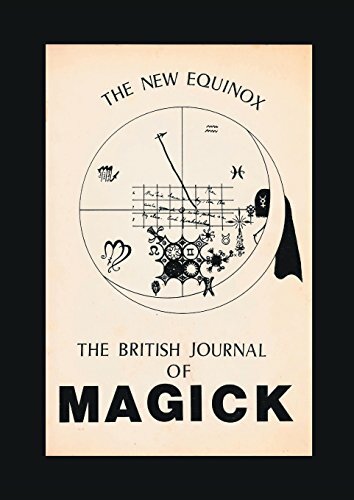 Lees took over the publication of The New Equinox with the subtitle “British Journal of Magick” and published several articles about the English Qaballa in 1980-81, in five issues. For this facsimile reprint, articles were selected for their relevance to the EQ. In them you will find a record of how this system developed, as well as an autobiographical account of James Lees himself. These documents represent an important part of the recent development of Western Magick in general, and in particular of a specific brand of English Magick, that of the English Qaballa. They offer a glimpse at the magickal activity occurring in the English Midlands at the time. Considering what a tremendous in influence the English Qaballa had on us during the formation of Hadean Press, it is a great privilege for us to bring this work back into print, and we hope you find it as interesting, and as useful, as we do.